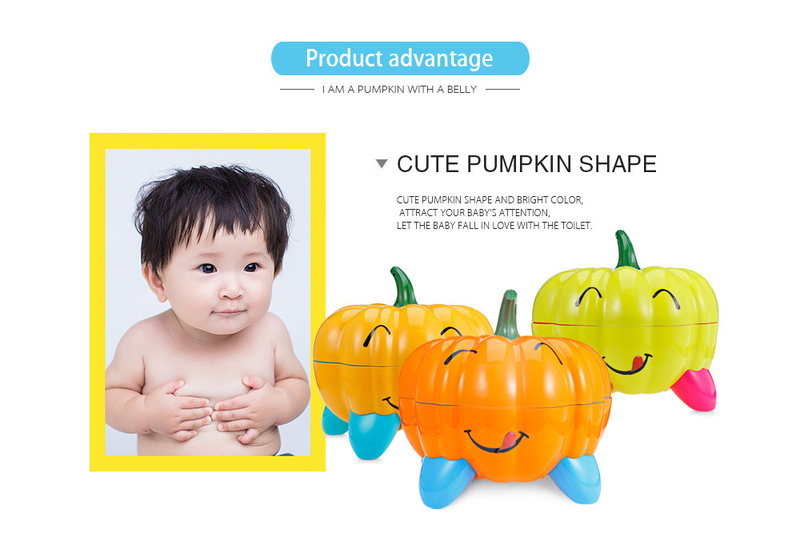 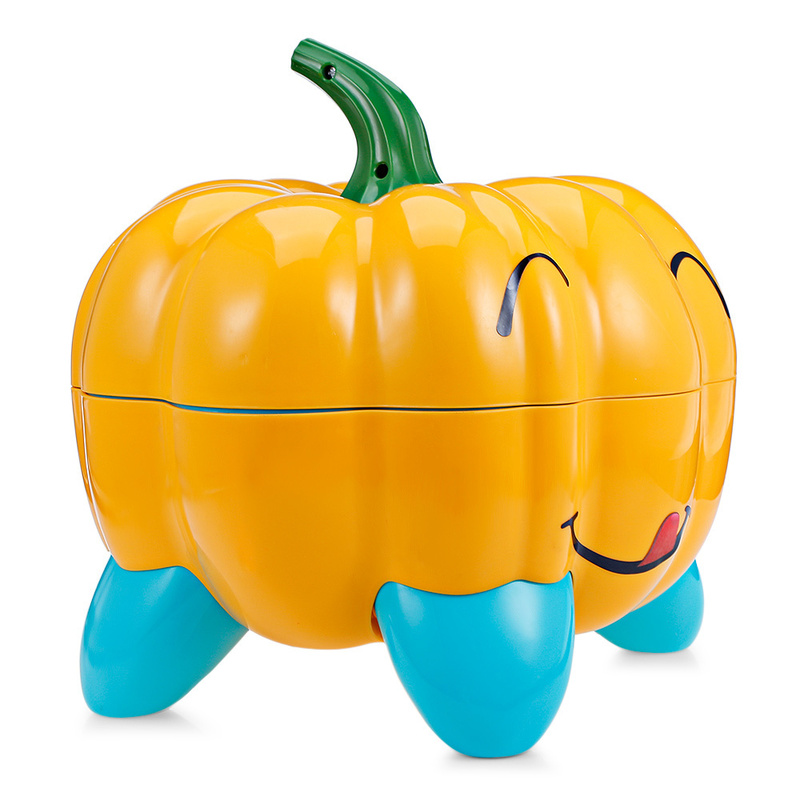 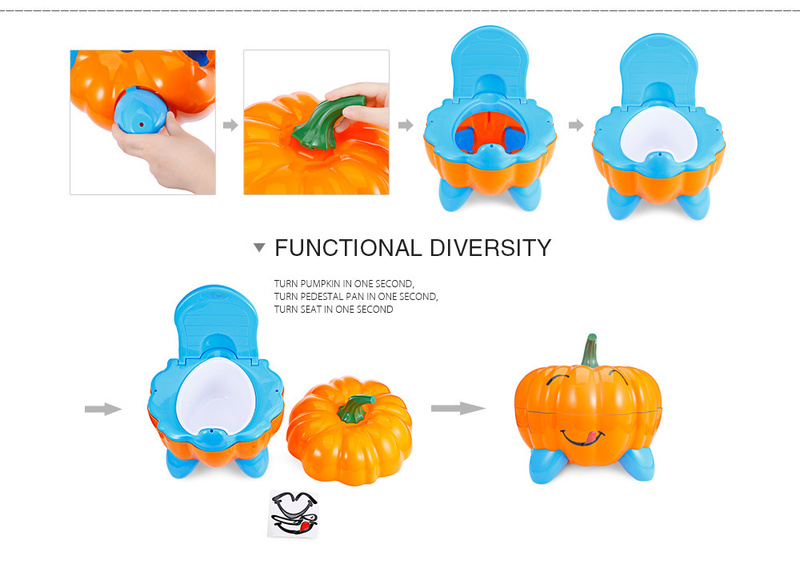 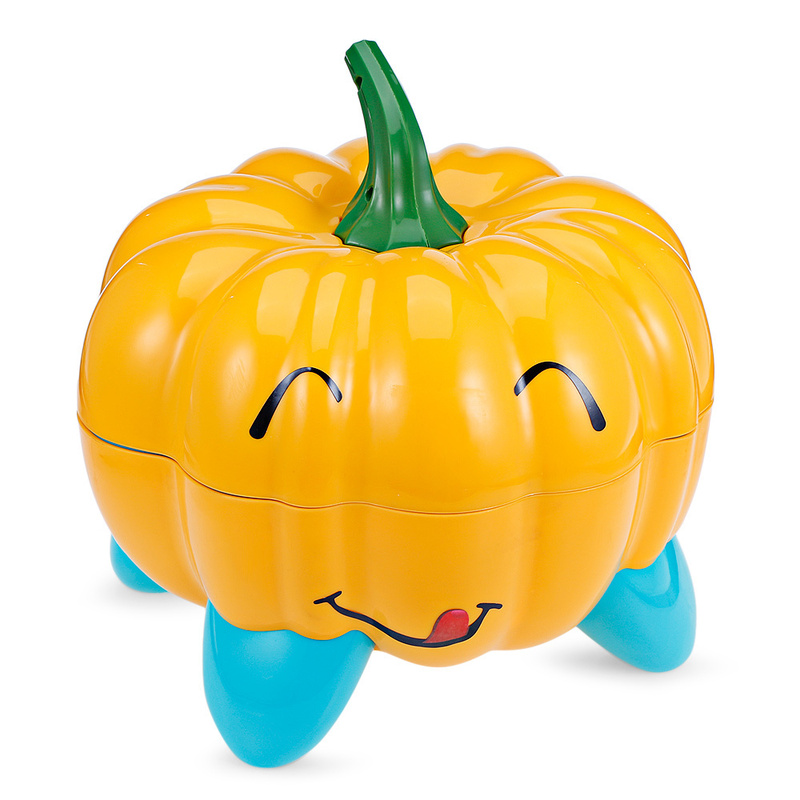 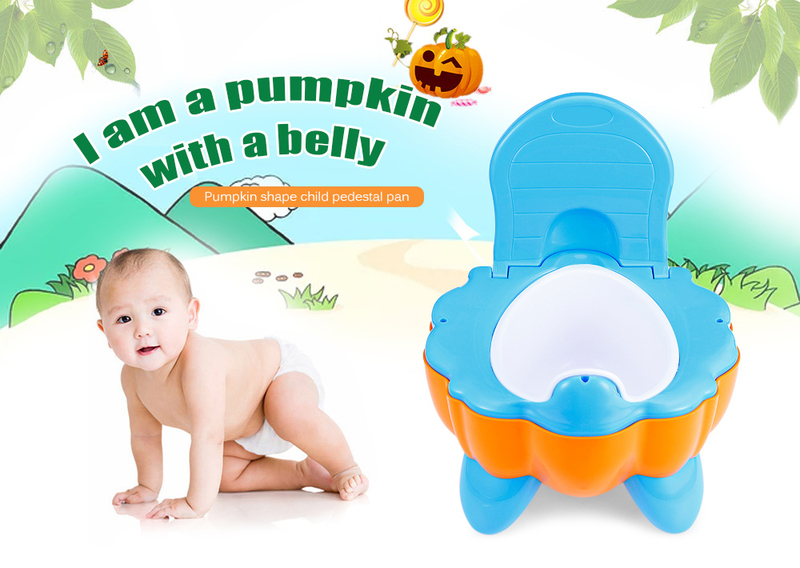 • Cute pumpkin shape and bright color, attract your baby's attention, let the baby fall in love with the toilet. 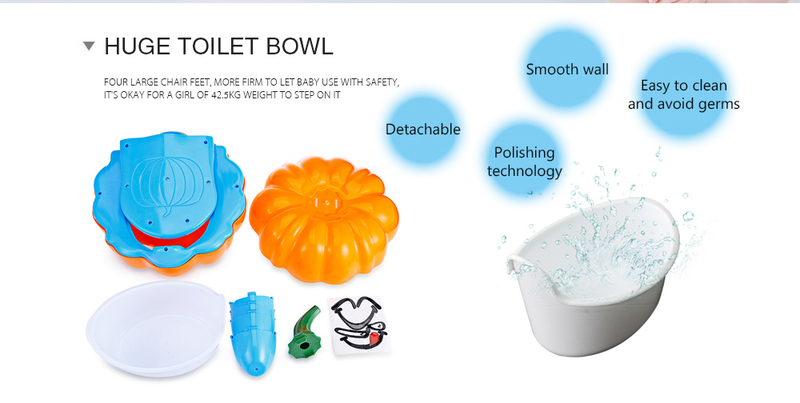 • Detachable and use polishing technology, smooth wall, easy to clean and avoid germs. 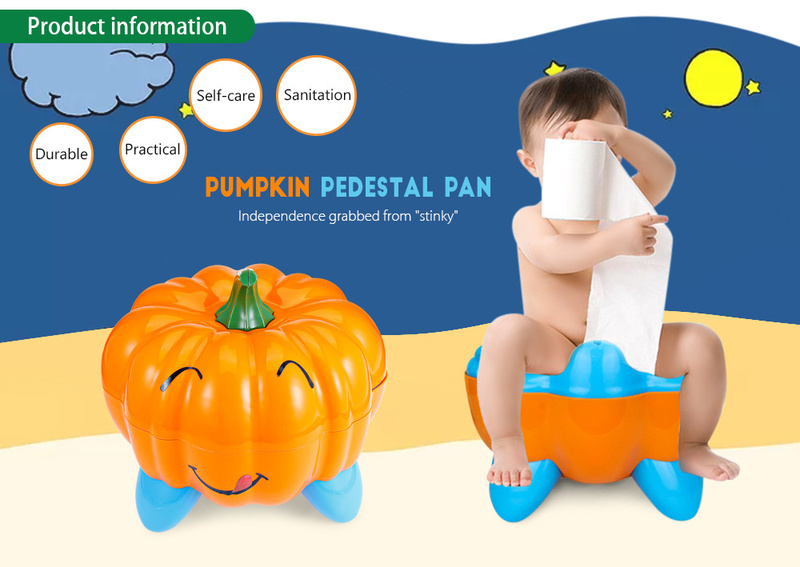 • Portable, suitable for household and travel. 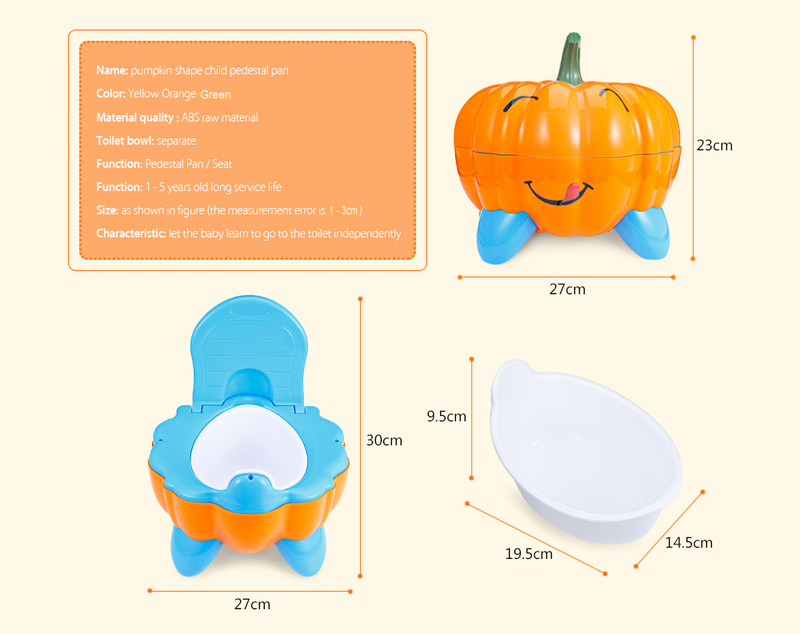 • Heighten splash-proof baffle,good ward off baby's urine splattered, for boys and girls children, make your baby use comfortably.